Today, we continue Part 2 (see Part 1 here) of our interview with Charlie, an experienced Harvard grad who took an unusual path into healthcare consulting, yet leveraged his experience and hard prep work into an offer at Putnam. Enjoy! PS: If you would like to have a 1:1 conversation with Jenny Rae or one of our other ex-MBB consultants about your consulting career prospects, be sure to schedule a Power Half Hour today! Well, are there any specific questions that you have is you are heading into final round about the different firms’ processes, or anything that’s remaining that you would just be interested in having some insight on? I think I have the idea of the final-round process down, where there is the screening portion, and then you come in and you try to view the culture of the company and meet the interviewers, and you already may be connected with some people inside the firm which will help you a lot. They’ll be able to tell you a bit more about the culture of the firm and what they do. Case interviews can vary, but in general, for these boutique firms for me, it might be a general case and then some really nitty, gritty details. And I think I have the gist of getting a case down, as well as understanding those details. Some things that I look for include how best I can understand if I like a Clarion Healthcare Consulting, versus an Artisan Healthcare Consulting – what might be the differences between firms. And so when I ask questions during an interview, I can ask “What’s the size of your firm? What might be your staffing model? Is it double staffing?” For me, it’s hard to narrow down really what drives a firm in terms of growth and vision, as well as what the culture of the firm is. 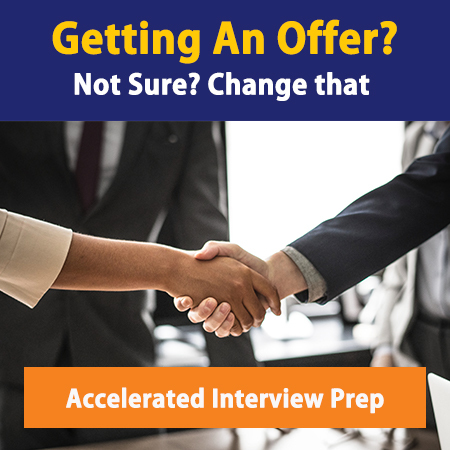 I am trying to figure out what types of questions I might be wanting to ask interviewers more specifically – as well as what are the ways to really understand what a firm does, besides reaching out to people that you know? I’m going to start with your very last question, which is if you don’t know somebody at the firm, how do you get some of this information. Here’s how to do it – ask a few good questions in your first interview, and then you can always refer to those insights in later interviews. It seems like it’s a little cheeky, but it’s not usually something that people pick up on. It’s just you being really intelligent with the resources that you have, which are limited in that particular firm. Now, going back to your initial question – what good questions can you ask, and how you can you go about that…my favorite questions here are a combination of two things, personal and specific. And they are always positive in nature. They are personal because they are asking about somebody’s personal experience. One of my favorite questions is “When you were making the decision to come to this firm, what were the options that were on the table for you, and why did you come here?” Usually they have at least two options. One was to stay and do what they were doing, and another was to join the firm. But sometimes they also had other jobs that were on the table. For me, when I chose Bain, I had three jobs that were on the table. And very few people asked me that question, but when they did, they got to hear me talk about a global nonprofit that I was thinking about working for, an airline, and Bain, and what I thought some of the differences were. I felt like that really give them the best perspective as to why I chose Bain, and also that gave me the opportunity to talk about what it was in particular that I really liked about the firm that was one level down, underneath the surface. That was really helpful. That’s why a personal question like that is really good. A question that’s personal and specific can be even better. For example, “What is one thing that you’ve learned since you’ve started this job that surprised you in a favorable way about the way that your company operates?” It could be the approach of the firm toward the client, it could be their training, it could be their culture. They interviewer is going to get to pick. Those kinds of questions are really helpful. If you ask them what their favorite thing about the company, you’re probably going to get a very high level, generic response. But if you ask them that more personal and specific question, you’re likely to get a much better response. Questions that are along that genre that touch on things that you care about, like tell me why you’ve stayed here, especially if you know what their tenure is. “You’ve been here for X years, what are the two factors that have most contributed to you deciding to stay?” Again, personal, specific, positive. They kind of cover all those things. I really, really like to ask questions that are more along the lines of their personal experience, as opposed to the firm general experience. But if you’re talking to different people and different positions, you can also ask positionally specific questions. For partners, their primary job in the company is to do what? Do you know what their primary job is in consulting? Right. They are the salesmen/women. So ask them what makes a company choose them over someone else. So asking let’s say you’re in their shoes, pitching their services. To get into their headspace, ask them – “Why does a company choose you? Or what are two reasons why a company might select you? Or what are some of the key reasons why companies consistently choose you over your peers? Who are your primary competitors in those situations, and why do they choose to work with you?” If you’re really trying to get at some of the competitive nature of the industry when you’re talking to a partner, that’s their world. So you’re able to get some great specifics about what they are pitching on a regular basis that’s working. Does that make sense? I think when I ask questions, at least for my past few interviews, I didn’t really take the opportunity to involve the interviewer himself as an individual person – to put them personally in the process, to put them on the spot by asking, “What is your one factor that you really like about working at Putnam? Or how do you think Putnam might differentiate versus another boutique firm culture-wise, outside of work?” So I never really thought of doing that, almost to put them on the spot. Yeah. And the key is you can’t go all investigative journalism on them, or you can’t get to a place where you are trying to uncover dirt – it has to be something where you’re looking for a happy answer. If you do that well, then they feel valued and heard, and they can sense that you are invested, that you’re really interested in understanding. Usually people end up making decisions like this less based on the facts, and more based on the relationships that they’ve made through the process. They’ll know that you’re going through more than one process at the same time, so they’ll be interested in gauging you in a relationship that’s really favorable as well. For me, I think those are some of the opportunities that I’ve been confused on. What are the good questions to ask? How do you figure out the culture of a firm without having an insider share that with you? How do you make the interview more personal? I know the general questions they’ll ask me wiil be “Run me through your resume,” “Tell me about yourself,” “What are your future aspirations?” or they’ll start the interview by saying, “I’ll tell you about myself, you’ll tell me about yourself, we’ll do a case, and I’ll leave time for questions at the end.” Okay, that sounds like a generally good structure. To me, it’s how do you make the interview more personal in nature during the last 45 minute to 60 minute segment? I think the questions at the end are a good way that maybe I haven’t been taking advantage of enough, and then any other forms of advice or aspects that you think might make the interview more personal. You bet. Some of these are really getting into advanced psychology and interview practices, but I’ll just give you a couple of my observations. These are not necessarily clinically proven. I think first of all the way that you open the interview, just in terms of shaking hands and offering a little bit of chitchat, like “the coffee that you have in this office is unbelievable. I’m not a coffee connoisseur, but I don’t know what is going on in that coffee machine. It’s really good.” If you start out by speaking positively about a really small insight in the office, something that you’ve really appreciated about being there, little compliments or comments like that can be wonderful. Or even just something like “I know that a lot of people don’t love this time of year of Boston, but it is so fun for me to be here at this time of year.” Just mentioning something that’s a little bit unexpected, perhaps, is really fun. Look, you can also say “I did spend a week in the Caribbean about two weeks ago, so that probably is helping me with the process.” Still focus on the positives, but offer something a little personal about yourself – that can be really helpful at the opening of the interview. Then when you’re opening your walk me through your resume, my number one recommendation is open with some kind of “I” statement that isn’t “I went to Harvard.” For you, it may come across as you’re walking through your resume that your background began when you put on your first maroon sweatshirt, and there you go. Rather, say, “When I was young, I dissected my first animal when I was four” or “I come from a line of six generations of doctors.” Something that’s just interesting, and kind of fascinating, that just gives a little bit of your personal background. For me, mine is “I started my first business when I was five.” But I also talk about how I charged for my first event planning engagement was charging for a synchronized swimming competition in my grandparents’ hot tub. Provide a little bit entertainment that is funny at the beginning of the session. As you go, the main thing you really have to pay attention to through the interview to keep it personal and engaging is body language. Smile at the interviewer. If you act like you’re having fun, they’ll really pick up on that. And it actually changes the way that you begin to speak, so you get more enthusiastic with the way that you talk if you’re smiling, you begin to interject little comments about the industry that you’re talking about, or an experience that you had, and it makes it a lot more conversational. Smiling is probably the number one way you can do that. Other things include leaning forward in your chair and really maintaining an open posture. Don’t cross your legs or your arms at any point in the interview. And make sure that you are really trying to present yourself as somebody who’s passionate and interested about not just the actions of the interview, but actually about the job in general. Does that make sense? That does. And then for the last part, what might you recommend for a follow-up email? I don’t know if this fits in with that email of making it more personal, but what things might you want to mention, say case specifics versus something that they told me in an interview. One of my interviewers told me about how he gets dropped off in the middle of Alaska and he boats on a lake for 10 days, no cell phones, no nothing. And so would that be something we could incorporate? Definitely. If I mentioned that in an interview, I would want you to bring it up – even more, I would want you to send me a picture or a video of something that sounds in some way like what I was talking about, that demonstrated that you went and looked it up, and that you think it’s totally bonkers. I’m obviously trying to put that out there because I want you to think I’m nuts, a little bit. And so if somebody offers something like that of themselves, hey, this is my favorite restaurant, or you mentioned something about the coffee and they talk about coffee tasting in Colombia, or something like that, then all of a sudden you’re like off on this conversation. Bring that into the follow-up and just let them know you loved meeting them, you loved talking about the firm, and you loved hearing about the specifics of their experience both in and out of work. And then if you want to mention any particulars, I think that’s great. I generally don’t refer to the mechanics of the interview, like the case interview, or the fit interview. More just “I really enjoyed meeting you. I like you as a person. It was enjoyable to be with your firm.” Those are some of the key takeaways you’re trying to give in those emails. I think you’re going to do great in the final rounds, and I really look forward to hearing what options end up being on the table for you, and then finally which ones you decide. So you’ll have to make sure that you keep us posted about that. Thank you, Jenny Rae, I really appreciate that. I’ll definitely, definitely, definitely keep you in the loop. Absolutely. Well, good luck this next week. You’ve got a lot going on, so have fun with it. I appreciate it, and I appreciate all your help so far, whether it was through your website, or even now – it’s been amazing. It’s my pleasure. If you want to touch base after you have some of the options on the table, then you are more than welcome to, we can either have another conversation. Otherwise, just please make sure you send me an email. I’d really like to know what the outcome is for you. Definitely. If I am fortunate enough to have to pick, I’ll definitely hopefully set up a call. Well, you’ve done a lot of things right, and the firms are hiring. I know people at a couple of the places that you are interviewing this next week – for them, this (late winter) is the perfect time of year, because they’ve got all their client work happening and they don’t have any other new hires coming in until the summer. You’re hitting a real sweet spot for them. You can look forward to having at least a couple of options on the table, but it will be fun to see which ones, and what ends up coming of it for you. Yeah. You betcha. There is no real other way to go in, I don’t think, into the final round. At Bain, the odds by the time you got to the final round were 50-50, basically. One you were in the interview process, it was 10% – one in five for the first round, and then 50-50 for the final round. So your odds actually improve the further on in the process you go. The stakes are higher, but the odds improve. So anyhow, have fun, send me an email if you need any other assistance in the meantime, and then otherwise I’ll look forward to hearing back from you once the process is over. Thank you, Jenny Rae, I appreciate it. It’s my pleasure. Good to talk to you today!